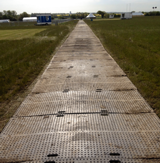 We are now supplying heavy duty cable covers for events and building site use. 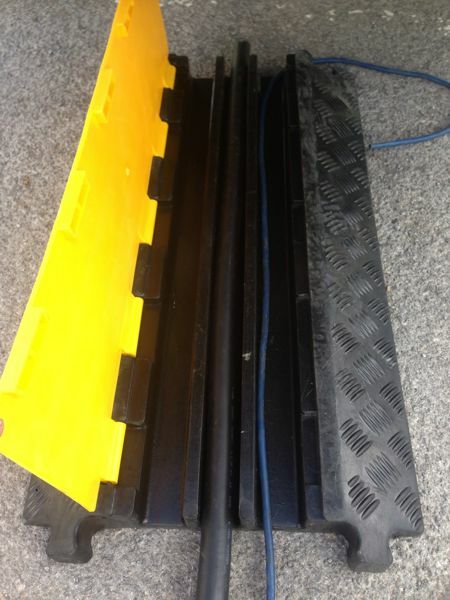 Our cable covers are rated to support up to 50 tonnes. Each unit has three channels, with adequate space in each channel to carry a 50mm cable. Each cable cover is 1m long and is designed to interlock with other units to form greater runs. They have a none slip profile on the tops to keep foot grip when wet and are highly visible. 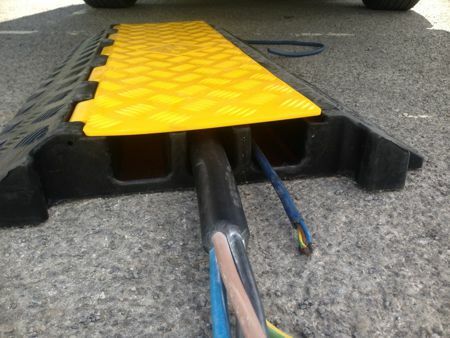 Cable covers can be used to protect cables in areas where the public are allowed site access. 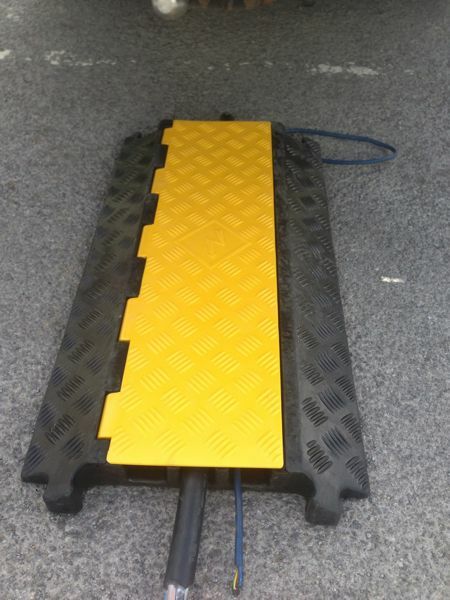 Our cable covers are wheel chair friendly making them very easy to cross. Contact one of our hire team for advice about specific requirements.